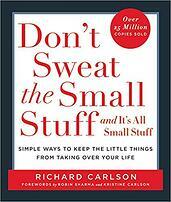 Here are 7 of Walking the Talk's recommended simplicity reads. 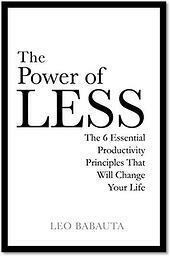 "Ten laws of simplicity for business, technology, and design that teach us how to need less but get more. Finally, we are learning that simplicity equals sanity. We're rebelling against technology that's too complicated, DVD players with too many menus, and software accompanied by 75-megabyte "read me" manuals. The iPod's clean gadgetry has made simplicity hip. But sometimes we find ourselves caught up in the simplicity paradox: we want something that's simple and easy to use, but also does all the complex things we might ever want it to do. 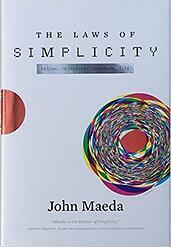 In The Laws of Simplicity, John Maeda offers ten laws for balancing simplicity and complexity in business, technology, and design-guidelines for needing less and actually getting more. Maeda-a professor in MIT's Media Lab and a world-renowned graphic designer-explores the question of how we can redefine the notion of "improved" so that it doesn't always mean something more, something added on. Maeda's first law of simplicity is "Reduce." It's not necessarily beneficial to add technology features just because we can. And the features that we do have must be organized (Law 2) in a sensible hierarchy so users aren't distracted by features and functions they don't need. But simplicity is not less just for the sake of less. Skip ahead to Law 9: "Failure: Accept the fact that some things can never be made simple." Maeda's concise guide to simplicity in the digital age shows us how this idea can be a cornerstone of organizations and their products-how it can drive both business and technology. We can learn to simplify without sacrificing comfort and meaning, and we can achieve the balance described in Law 10. This law, which Maeda calls "The One," tells us: "Simplicity is about subtracting the obvious, and adding the meaningful." Get the book. . .
"Ken Segall put the 'i' in iPad. Now he explains why simplicity is the secret of Apple's success in Insanely Simple. To Steve Jobs, Simplicity wasn't just a design principle. It was a religion and a weapon. The obsession with Simplicity is what separates Apple from other technology companies. It's what helped Apple recover from near death in 1997 to become the most valuable company on Earth in 2011, and guides the way Apple is organized, how it designs products, and how it connects with customers. It's by crushing the forces of Complexity that the company remains on its stellar trajectory. As creative director, Ken Segall played a key role in Apple's resurrection, helping to create such critical campaigns as 'Think Different' and naming the iMac. Insanely Simple is his insider's view of Jobs' world. It reveals the ten elements of Simplicity that have driven Apple's success - which you can use to propel your own organisation. Reading Insanely Simple, you'll be a fly on the wall inside a conference room with Steve Jobs, and on the receiving end of his midnight phone calls. You'll understand how his obsession with Simplicity helped Apple perform better and faster. 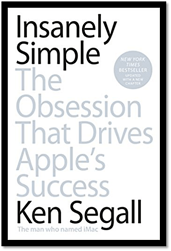 Ken Segall worked closely with Steve Jobs as ad agency creative director for NeXT and Apple. He was a member of the team that created Apple's legendary 'Think Different' campaign, and he's responsible for that little "i" that's a part of Apple's most popular products. Segall has also served as creative director for IBM, Intel, Dell, and BMW. " "Life gets more complicated every day. Whether you're struggling with information overload, attempting to act effectively with limited resources or trying to change bad habits - all you need is Simple Rules. So, how do we make the best decisions when deluged with data? How do we solve problems across global networks? And how do we pinpoint what exactly it is that is holding us back from success? Sull and Eisenhardt have distilled two careers-worth of research, experience and work into a much needed guide to achieving our most pressing personal and professional objectives, from overcoming insomnia to becoming a better manager or a smarter investor. 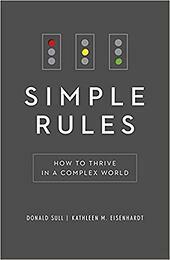 Full of tips, illuminating case studies and clear advice,Simple Rules provides the tools you need." "With the arrival of the 21st century we have encountered a mental and material explosion in the Western world: we have near-unlimited information at our fingertips, we can have children who are healthy and safe, and we have wealth and possessions beyond what most of the world can dream of. With The Power of Less, you will be able to start a complete shift from wanting everything to needing nothing, be able to live your life simply without compromise, and discover that though we cannot have everything we want, we can obtain anything we will ever need. With this book, you will find how to go through life not carefully, but carefreely." 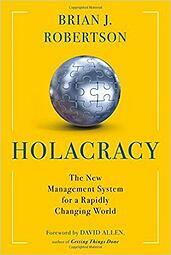 "Holacracy is a revolutionary management system that redefines management and turns everyone into a leader. Some of the many champions of Holacracy include Tony Hsieh, CEO of Zappos.com (author of the #1 New York Times bestseller Delivering Happiness), Evan Williams (co-founder of Blogger, Twitter, and Medium), and David Allen." 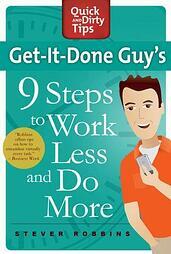 Written in the uniquely humorous style Stever is known for, Get-It-Done Guy's 9 Steps to Work Less and Do More will help you break the bad habits slowing you down and holding you back. Work less and do more—your free time is waiting!" Learn to trust your intuitions."